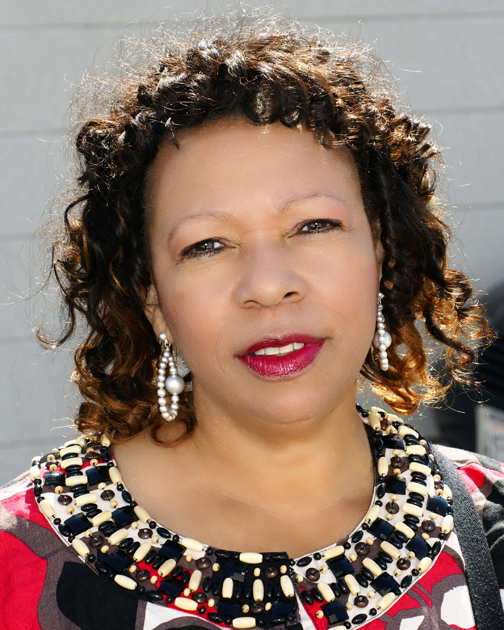 It was only after her fellow Dialysis Technician prodded her several times, that Andrea Riser-Zanders found her way to the adult school at Central and 108th, the then-named Maxine Waters Employment Preparation Center. So with that, she took and passed the entrance exams, and spent 2001-2002 in the LVN program taught by Norma Roberts. She had to quit a job and work weekends because the class meets six hours a day, five days a week, but she found a way. Now she is a Clinical Manager at a dialysis unit who teaches at local universities and dreams of opening a school of her own. “I saw Maxine Waters as my open door to get back into medicine,” she says. Like so many students at Maxine Waters, Riser-Zanders had abandoned her dreams long ago. Twenty years before enrolling at Maxine Waters, she turned down a chance to go to USC and study to be a Physician’s Assistant because she didn’t see how she could do that and tend to her young children and husband. The nursing program at Maxine Waters Service Area (as it is now called) is no longer free, but the $10,000 cost is much cheaper than the $30,000 to $40,000 that other institutions charge. That breaks down to $6.53 an hour, less than the cost of many pre-schools. But the future of the school is in doubt, imperiling the dreams and second chance opportunities of the people in the surrounding communities. Maxine Waters Service Area is part of Los Angeles Unified School District, whose primary mission is to educate children, not adults. Superintendent John Deasy made this abundantly clear two years ago when he killed the nursing program along with the entire adult division. Only community outcry and Herculean effort from students and staff were able to save it. Or part of it. The adult education programs is a third the size it used to be and has long waiting lists of students eager to get in. Maxine Waters is funded for next year at about the same level it is for this year, but after that its future is in doubt. Governor Jerry Brown, under AB86, has directed adult schools and community colleges to get together and remake the way the state educates adults. Where Maxine Waters and its career tech education programs – which in addition to nursing include automotive, welding, construction, culinary, landscaping and office skills classes – fits into the new vision is as yet unknown. Riser-Zanders knows that her future includes more education. She will start a Doctorate in Nursing Practice this fall at Chatham University, in Pittsburg, Pennsyl­vania. But she will be continuing lessons she learned at Maxine Waters.